125 S. San Pedro St.
NO DOUBLE CHIN. NO SURGERY. NO KIDDING. Kybella significantly reduces submental fat under the chin PERMANENTLY! Last picture shows results after 2 treatments. Kybella® FDA Approved for treating submental fat under the chin. Save $100 per vial on your Kybella treatment between now and January 31st, 2018. Plus + Save an additional $100 on your first treatment of 2 or more vials. 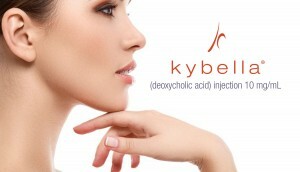 The makers of Botox and Juvederm now introduce the newest beautification prescription injectable with Kybella. Kybella permenantly treats and alleviates submental fat (fat under the chin, or ‘double chin’). Call us for a FREE and NO obligation consultation. We won’t sell you, we’ll educate you. * First treatments are normally 2-3 vials; second treatments are usually 1-2 vials. This place and Marion highly recommended. Half the price of other places and she's an artist. I almost hate to give away this secret. OU Beauty made its commitment to provide outstanding service at affordable pricing by some of the best injectors in Southern California. We are a philosophy-based company that set out to provide a place WE would want to come to. This philosophy has made us the largest injector of Botox and dermal filler in Southern California. We now have locations in Downtown Los Angeles and Glendale serving the greater Los Angeles area.